Though I had been writing about the local music scene for nearly a year and a half, at a time when truly great things seemed to be few and far between, it was Dry River Yacht Club that finally sealed the deal for me. They were my fifth full length feature on a local band in JAVA Magazine, but they were the first in which I invested my complete energy, my time and my effort to see them live before writing the article that changed everything. 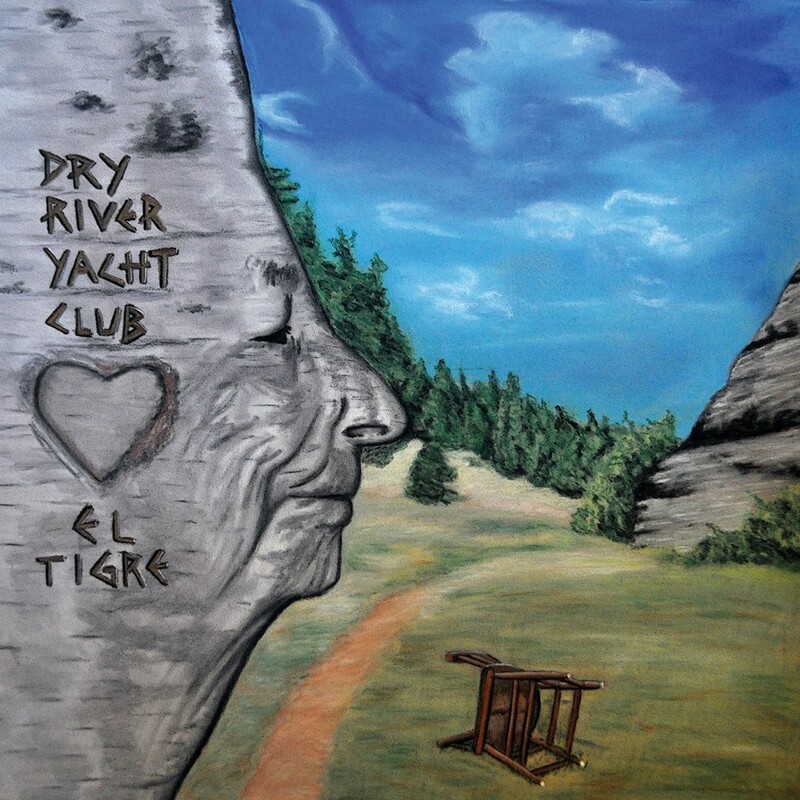 Dry River Yacht Club and writing about them was a turning point for me. I met them during a release show for the glorious When In AZ… compilation in the fall of 2009, was invited to an after party that night and that’s when I realized what was happening to indie music in Arizona—that was the night I fell in love with it all. That’s what it’s been ever since, pure love, for one of my favorite musical entities in our local scene, not only in homage of what they mean to me symbolically, but also what they mean to me musically. I sometimes wonder if I would be doing what I’m doing “write” now, nearly every day, if it wasn’t for that night I lost my mind over the Dry River Yacht Club during that power packed, standing room only evening at the Yucca Tap Room. I honestly owe them more than I could ever say and in the years since, everything they have released has moved me in much the same way—also, and I have tested myself on this by trying to resist, they literally move me physically, the longest I can last before dancing at one of their shows has been 105 seconds. After nearly two years of writing, performing, changing the lineup, more writing, a lot more performing, recording and even more performing Dry River Yacht Club they unleashed their fourth release, the album El Tigre, on local audiences this past fall. And there was indeed much rejoicing. Previous to the album there had been a double A Sided single release and as of yesterday, one of those singles “The Legend of El Tigre” has an amazing new video shot by Sundawg Media, featuring camera work by Matty Steinkamp and Tristan DeDe. “The Legend of El Tigre” is on of their new songs that caught my attention the most. It’s also one of their few song that’s less than five minutes long and I’m a sucker for shorter songs, especially when it can still express all of the exploding Americana drenched indie Gypsy Rock they are known for and still ensure that their sound remains and sustains itself as both infectious and intoxicating. In less than three and a half minutes Dry River Yacht Club condense their epic sound, their philosophy and decree into an alluring and seductive number that will certainly invite new fans from around the world—the range within its short span is so incredibly enticing and moving, it’s difficult to express. Granted the lyrical content of a street side Sapphic encounter is certainly seductive and alluring in its own right, but the sheer electrical phenomena conveyed through the musical representation is downright enthralling, right to the last minute of the swirling, dizzying plummet into bed for the two lovers, whether real or imagined—it matters not, this becomes art in its very construction. It may simply be a memorable passing in the street between two strangers that moved the storyteller forever or it may be the telling tale of how a deep love began, the mystery is the magic of the meaning that serves only as the backdrop for the musical majesty presented here.When “The Legend of El Tigre” was released as a single I could not have been happier, in fact I played it all over the radio like mad, wrote about it at length—but that single release is simply a shadow in comparison to it final album version. This version provides a depth vocally provided by Garnet but, musically directed by Craig Schumacher, it beats the “original” all to hell—here is where the rock comes in and it’s pretty amazing in its final moments. do you know what a stranger said to me?